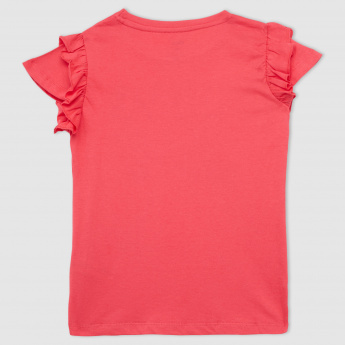 The ruffle detail on this t-shirt is striking and will be loved by your daughter. 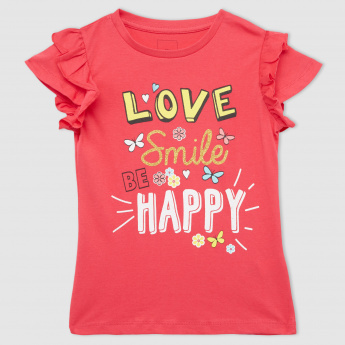 The print on the front gives out a happy and cheerful vibe. The short sleeves give a relaxed wear.